Such a fun weekend, with such a fun group of girls!! But it’s good to be home with my babies, and I seriously missed my own cooking. It’s fun to eat out and all, but!! there is only so much junk food one can take. Not to mention, I like having control of what I put into my food. And since I have done nothing but eat crap this weekend, time for some low calorie meals!! We’ll start out with this one! 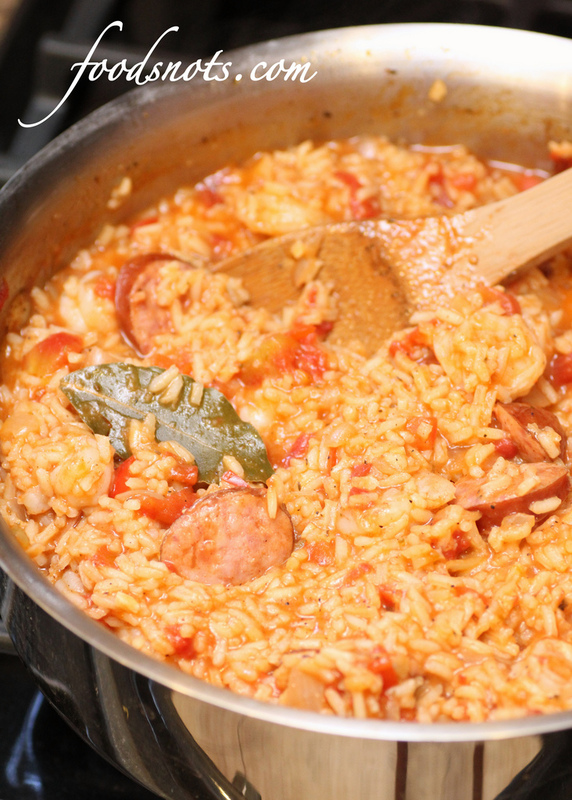 I’ve been dying to try a Jambalaya recipe, because it’s all over Food Network, and everyone is always saying how amazing it is. It is pretty amazing!! Tons of flavor. The only thing I wasn’t the hugest fan of was the shrimp, but I’m a snob when it comes to seafood, so don’t listen to me on this issue. This was delicious!! And I love how much flavor this dish packs for being low in calories. Definitely a must try recipe!! Enjoy! Heat olive oil in a large Dutch oven over medium-high heat. 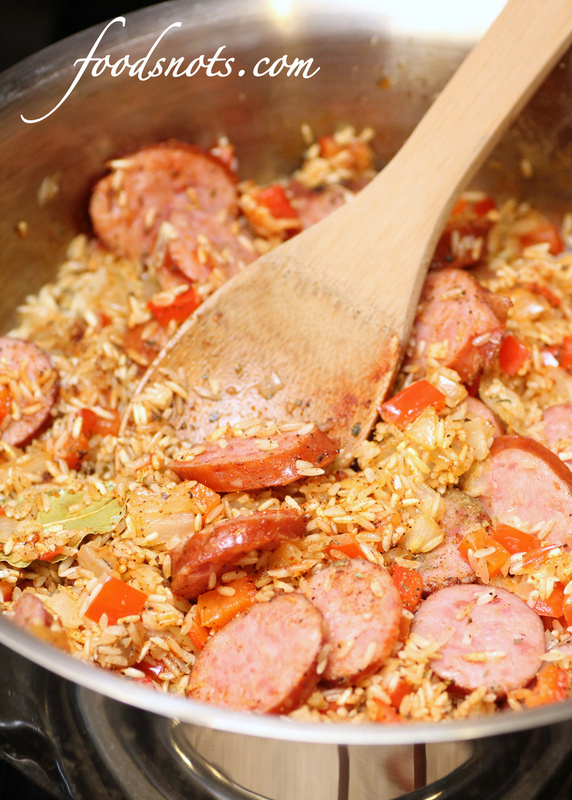 Add chopped onion, chopped bell pepper, minced garlic, and sausage; saute 5 minutes or until vegetables are tender. Add rice and next 7 ingredients. Add broth, water, tomato paste, hot pepper sauce, and diced tomatoes; bring to a boil. Cover, reduce heat, and simmer 20 minutes. Add shrimp; cook 5 minutes. Let stand 5 minutes. Discard bay leaf. Stir in parsley.Yield: 4 servings (serving size: 1 1/2 cups = 426 calories).